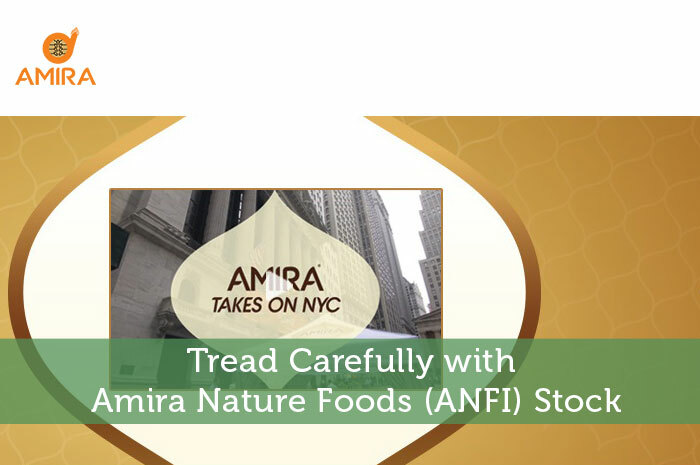 Potential investors looking into Amira Nature Foods could be forgiven if they get unabashedly excited for prospective ownership in the company. The Indian food company, headquartered in Dubai, which is best known for processing and distributing basmati rice and other related food products, appears to be, at first glance, a real steal. It sells its products in over 60 countries and has been in existence in one form or another for a century. The stock, currently trading around $12, can be had for just under 9 times annual profits, for a P/E ratio of 9. Not only that, since going public in 2012, the company has grown its revenue from $203 million to $700 million, and net profit from $5 million to $42 million. Gross margin, operating margin, and net profit margins have all been increasing since 2010. Financial leverage has come down from 6.6 times assets to 2.6 times assets by 2015. Return on Assets has improved from 2.4% to 9.2%. So has Return on Equity, going from 15.82% to 24.27%, and Return on Invested Capital, growing from 7.4% to 18.3%. With analyst estimates of 25% growth over the next 5 years, it may seem that the current earnings per share of $1.46 could expand to $4.61 per share by 2020 if the high expected growth rate is achieved and maintained. If Amira grew its earnings per share to $4.61 in 5 years time, and the stock traded at the exact same earnings multiple of 9, you could potentially see your investment compound by north of 20% over the next 5 years. While everything looks very promising, there are also some concerns. First, the most up to date financials are from March 2015. There is concerning because it has been almost a full calendar year since the financial health of the company has been reported. Even though the company reports with the SEC through a 20-F, it is still slightly concerning when you see that an Indian company is headquartered in Dubai and reports stale financials to the US. To add to this, the independent auditors they have hired to audit their financial statements, ASA & Associates LLP, is an Indian based auditing firm, not an established American auditing firm. It’s just that this long and winding trail should make you, as a critical analyst, weary. I also find the cash flow statement concerning. While strong net profit growth is evident in the income statement, the cash flow statement tells a different story. Since financials have been reported from 2010, aside from 2012, operating cash flow has always been significantly lower than net income. This is concerning because if net income is much larger than operating cash flow, it’s a signal that the company’s earnings quality – the usefulness of earnings – is potentially questionable. If I were to seriously consider investment in Amira Nature Foods, I would want to understand why operating cash flow has been lagging net income so badly. Prescience Point made allegations last year that Amira was cooking the books. While I have not gone through the 20-F filing in-depth to verify or confirm these allegations, I would think it would be prudent to go through the allegations and see for yourself if they are valid or not. For a stock such as Amira, I believe it would be prudent to approach potential ownership by conducting your own research with a critical eye. You can trust, but always verify. If Amira’s financials check out to be solid, it could potentially be a very lucrative and attractive opportunity.